The Honda Civic has long been popular because of the incredible variety it offers, even in body styles, which include a coupe and sedan as well as a hybrid powertrain for those looking for a little something extra when powering around the North Carolina roads. The Civic is consistently at the head of its class because of its reliability and efficiency. People who are in the market for a vehicle that is comfortable, practical, and a great family sedan find the Honda Civic delivers in all areas. Drivers love the experience of being behind the wheel of a Civic because it is so well-equipped, especially the recent models. It is athletic while still providing a safe, enjoyable ride. You can even get more advanced safety features the last few years due to rapid advancement in technology. Drivers who are looking for a comfortable cabin will love the premium materials used throughout the Honda Civic’s spacious interior. Want an even better way to get to know this amazing compact car? That would be a test drive at our Honda dealership serving the Shelby, Kings Mountain, and Gastonia North Carolina areas. Just contact us online and we’ll pull the exact Civic model you want from our inventory and have it ready and waiting for you at our dealership located at 4421 E Dixon Blvd, Shelby, NC 28152. So, what are you waiting for? Come in today and explore this award-winning compact car in the Honda lineup today! The base LX provides automatic high beams, a rearview camera, *Bluetooth®, lane departure warning, automatic climate control, LED running lights, a four-speaker sound system, road departure mitigation, a USB port, automatic emergency braking, adaptive cruise control, lane keeping assist, 16-inch wheels, forward collision warning, a height-adjustable driver’s seat, and a 5-inch central display screen. The Sport comes with Apple CarPlay, dual USB ports, a leather-wrapped steering wheel and shift knob, sport pedals, an eight-speaker audio system, HondaLink, a 7-inch touchscreen interface, a rear center armrest with cupholders, Android Auto, 60/40-split folding rear seatbacks, fog lights, 18-inch alloy wheels, aerodynamic bodywork, keyless ignition and entry, and remote start. The EX gains satellite radio, a power-adjustable driver’s seat, 17-inch alloy wheels, the Honda LaneWatch blind-spot camera, dual-zone automatic climate control, a sunroof, heated side mirrors, and heated front seats. Drivers who choose the EX-L will receive with an auto-dimming rearview mirror, a power-adjustable passenger seat, and leather upholstery. The top trim – the Touring – offers LED headlights, paddle shifters, automatic wipers, an integrated navigation system, heated rear seats, a 10-speaker audio system, and 18-inch wheels. Honda was first known for making motorcycles long before the Civic appeared on the market. Honda made its debut in the North American car world in 1973 with the Honda Civic as its initial offering. The first model had room for four passengers to ride comfortably and was powered by a 4-cylinder, 1.1-liter engine that put out 50 horsepower. In the beginning, the Civic came standard with an AM radio, reclining bucket seats, and power disc brakes in the front, whether you chose to drive the hatchback or the two-door sedan. The Civic hatchback has made an on-again, off-again appearance throughout the years and drivers are excited to see it returning, as hatchbacks have been enjoying some semblance of a renaissance recently. For drivers looking to experience a vehicle that offers plenty of cabin space without sacrificing economy, the Honda Civic is an ideal choice. Packed with advanced safety technology, ample room for even the tallest passengers, and plenty of features for convenience and comfort, the Civic will remain a favorite among drivers. 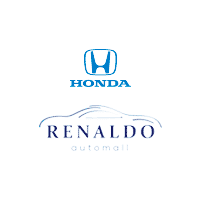 When you decide to work with Renaldo Honda in Shelby, NC, you will receive top-notch service from our highly trained staff. Our team will answer any of your questions and be more than happy to walk you through the different Honda models and Civic configurations available. Regardless of what features you are looking for, we can find a trim and model that is perfect for you and your family. Even better, we can also make the process smoother by helping with financing and maintenance for the life of your vehicle. Give us a call and set up a time to take some of your favorite Hondas for a test drive before deciding on the right one.